XAMPP is a free and open source cross-platform web server solution stack package, consisting mainly of the Apache HTTP Server, MySQL database, and interpreters for scripts written in the PHP and Perl programming languages. Read more at http://www.apachefriends.org/en/xampp.html . Copy the folder “xampp” ie CTRL+C . 4) Go into the folder and find xampp-control.exe file. Double-click to run. The PHP in this package needs the Microsoft Visual C++ 2008 Redistributable package fromhttp://www.microsoft.com/en-us/download/details.aspx?id=5582 . Please ensure that the VC++ 2008 runtime libraries are installed on your system. 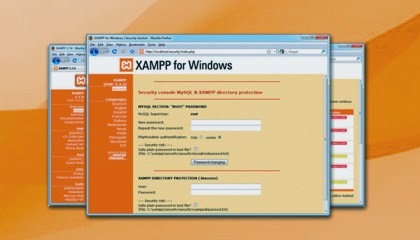 5) XAMPP Control Panel will appear on screen. b) Change Apache Main Port to a different number eg 81.
b) Change Apache SSL Port to a different number eg 444. As a general rule, if a particular port is already in use by other processes, you have to either a) Stop the process or b) Change the port number. All port numbers can be changed via the Service Settings window above. You can check the active sockets (endpoint instance defined by an IP address and a port) by clicking Netstat button. a) Send To Desktop (create shortcut). b) Pin to Start Menu. It is NOT RECOMMENDED to Pin To Start Menu. This method doesn’t provide you the option to Start In a specific directory (refer below screenshot). As a result, you may encounter error “ The system cannot find the path specified. ” when you click Start button for Tomcat. Which is better? XAMPP or Manual installation of Apache, MySQL and PHP? BlueHost is ultimately one of the best hosting company with plans for all of your hosting requirements.